As a mother and an educator, co-founder Pauline Miller passionately sought to provide better child care options. 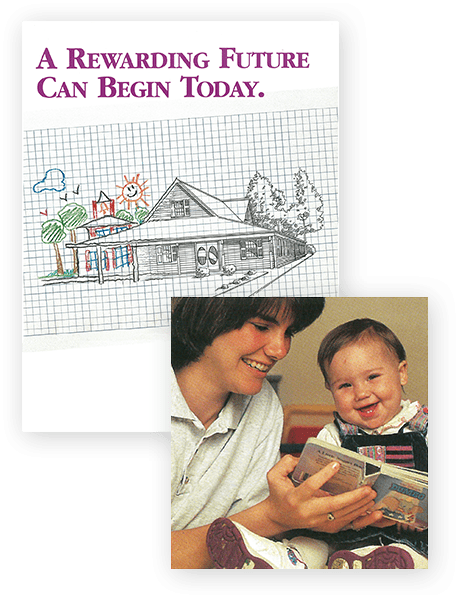 Her vision created an experience that went beyond typical child care, inspiring the possibilities in each child for his or her future. 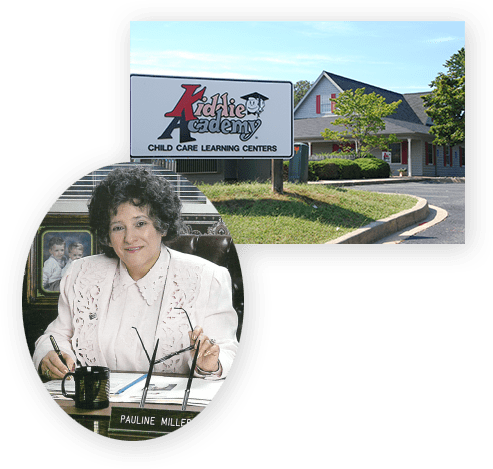 She developed the first version of Kiddie Academy’s proprietary curriculum with the opening of our first location in Baltimore County, Maryland. It had a capacity for 84 children and infinite promise. Michael Miller, son of George and Pauline Miller, joins the team. Over the next 30 plus years, Michael becomes involved in all aspects of Kiddie Academy. That includes his current role connecting to families around the country who are looking for innovative learning options for their children. We further established and developed how we teach and serve children and their families and expanded into more communities around the country. Parents expect more from their child care than babysitting. They want educational child care that nurtures and inspires—intellectually, emotionally and physically. 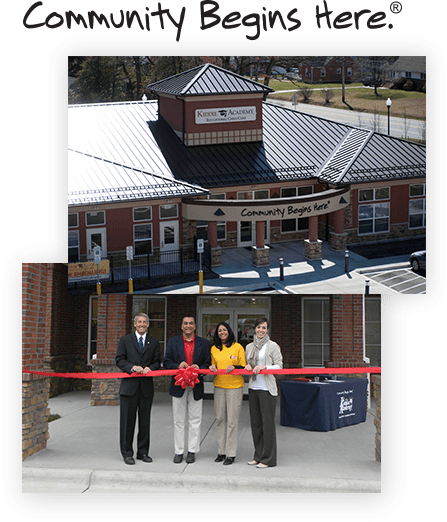 The first Kiddie Academy franchise location opens to meet that demand. We lead the way in expanding education-based child care to infants and toddlers. It’s an early example of how committed we are to anticipating the needs of parents. By the end of the decade, more families than ever are benefiting from our unique approach to education-based child care, with thousands of children learning at a wide variety of academies. 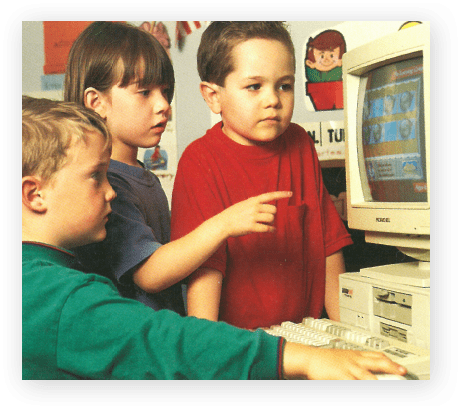 The new millennium marks an evolution in our industry-leading early education methods, along with the introduction of a unique summer learning program. Amazing teachable moments extend to the most fun-filled months of the year. 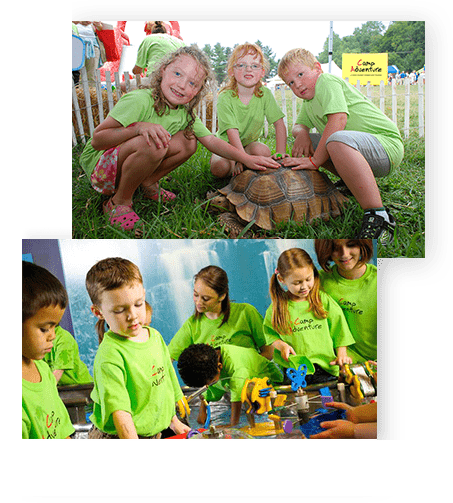 We incorporate our summer program (now CampVentures®) into our main curriculum. Our Curriculum Advisory Board of early childhood experts makes its debut. Its purpose is to enrich our curriculum and give our teachers the tools they need to help children develop intellectually, physically and emotionally. Kiddie Academy earns accreditation. We’re proud of this recognition for the quality and consistency of our curriculum, the high standards we set for our teachers and students and the healthy relationships we foster with families. Our curriculum evolves to instill each age group with a rich appreciation for good citizenship, health and fitness and scientific exploration. 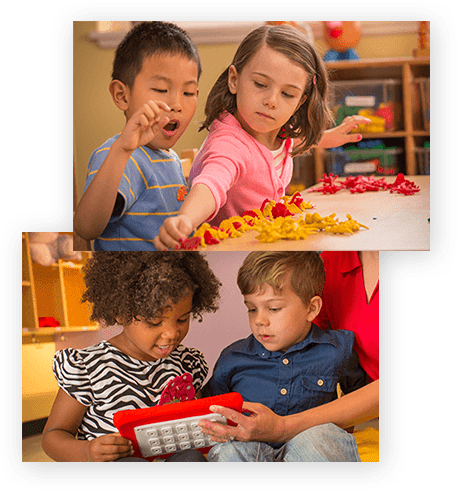 We name it Life Essentials®, which incorporates STEM skills crucial to developing the next generation of physicians, engineers, computer scientists, mathematicians and critical thinkers. 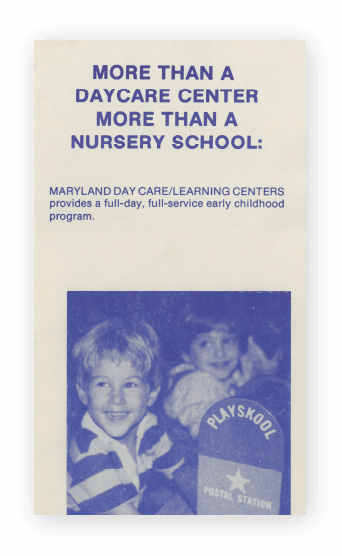 After 30 years, we remain true to Pauline Miller’s vision of keeping play and community at the center of early childhood learning. 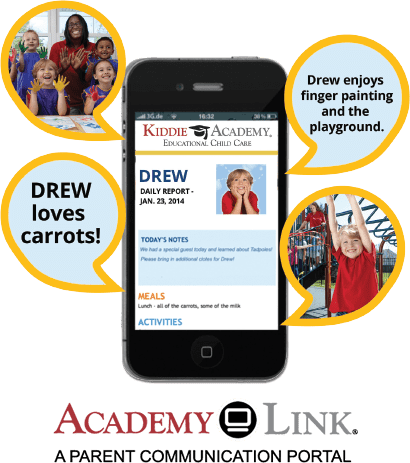 Parents get a firsthand mobile look at their classroom activities—including frequent updates about how their child is developing and teacher comments, photos and videos that capture can’t-miss learning moments. 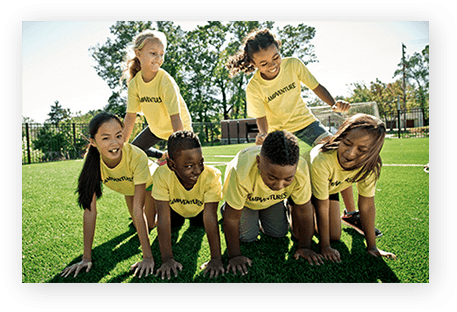 In tune with the growth in childhood obesity, Kiddie Academy continues to integrate exercise and nutritious, family-style dining and snacks into its Life Essentials® program. In greater and greater numbers, parents are seeking out educational childcare that engages their children mentally, physically and socially. 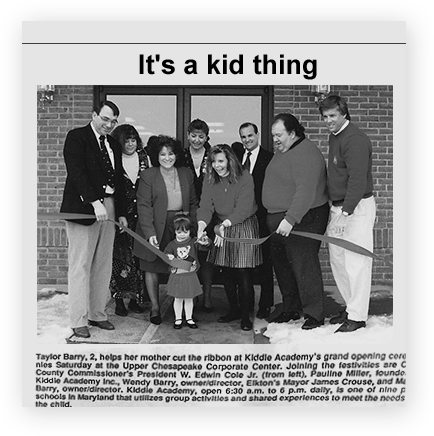 As we celebrate the opening of our 200th location, we remain driven by Pauline Miller’s founding vision: to inspire children to realize the amazing possibilities of their future. 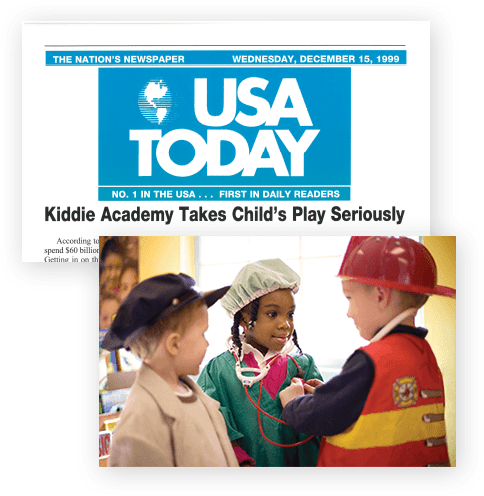 Kiddie Academy’s Learn On® campaign launches in January with new videos and a billboard display in New York’s Times Square. 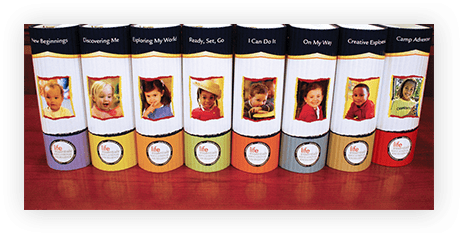 Learn On focuses on how our Life Essentials philosophy blends education with fun, sparking a passion for learning that children carry with them wherever they go, for the rest of their lives. 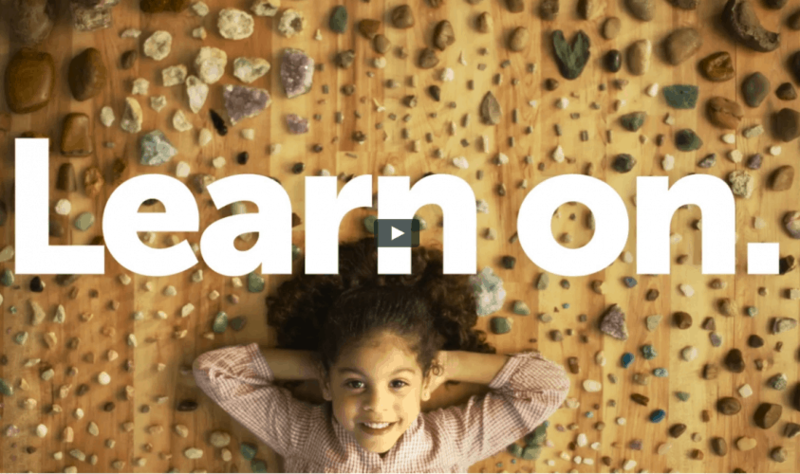 Uniting your child’s enthusiasm for exploration and discovery with our innovative Life Essentials® curriculum to build momentum for learning – every day, everywhere. 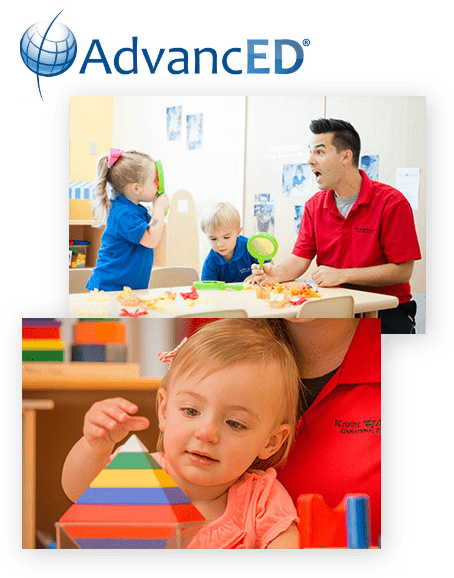 Looking for an early education program that inspires a lifelong love of learning in your child?